Lakeland Resisting Arrest Defense Attorney - Lawyer, Providing Professional Resisting Arrest Criminal Defense Attorney legal services for Lakeland, Winter Haven, Bartow, Polk County, and the surrounding Central Florida area. 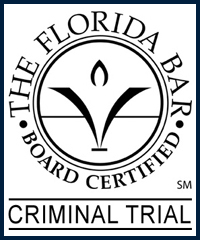 Call 863.660.2185 to Speak with Lakeland Resisting Arrest Criminal Defense Attorney / Lawyer, Joshua E. Schoen. Resisting Arrest Without Violence is a felony of the third degree which carries a maximum penalty of 12 months incarceration and a $1,000 fine. Resisting Arrest Without Violence is a misdemeanor of the first degree which carries a maximum penalty of 5 year incarceration and a $5,000 fine. Resisting arrest with violence is also subjective in nature according to the perception of law enforcement officers or protected persons under Florida Statute §843.01. The prosecution must prove that the method or level of perceived resistance that at the time was perceived to be "violence" was intentional and not a natural reaction to what may have been a swift action by law enforcement officers or protected persons under Florida Statute §843.01. Protect your rights by seeking the legal advice and representation of an experienced Lakeland Resisting Arrest Criminal Defense Attorney / Lawyer. Contact Lakeland Resisting Arrest Criminal Defense Attorney / Lawyer Joshua E. Schoen at 863.660.2185 in the Lakeland, Winter Haven, Bartow, Polk County, and the surrounding Central Florida area.